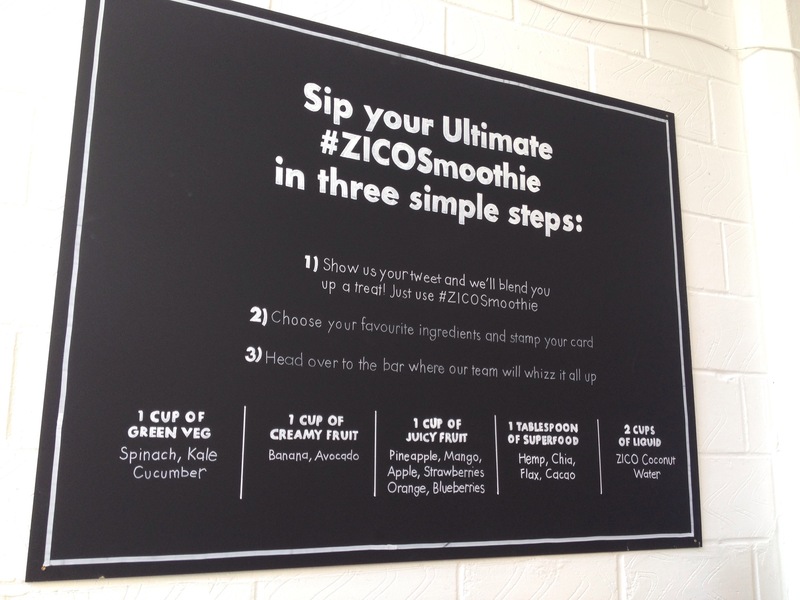 Me being a smoothie fanatic, would not turn down a trip to a pop-up smoothie bar. 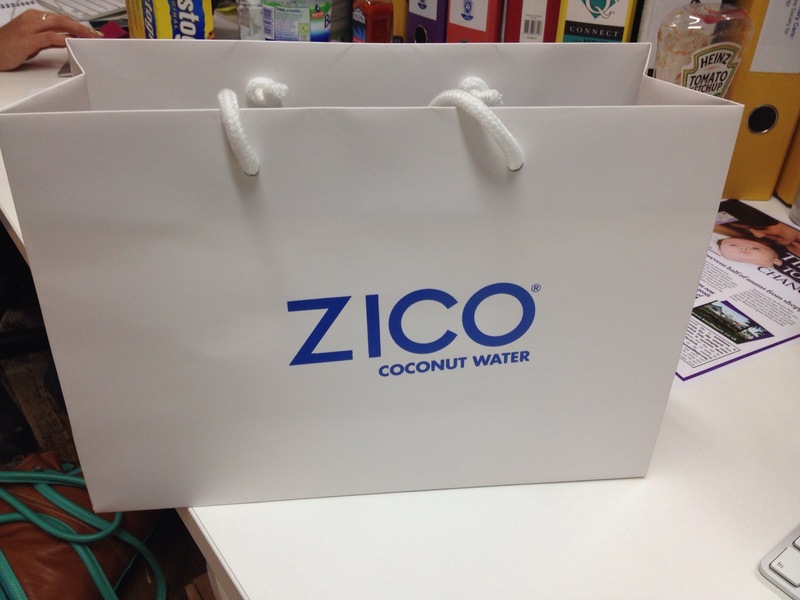 So when I heard about ZICO’s I just had to make time to go along. 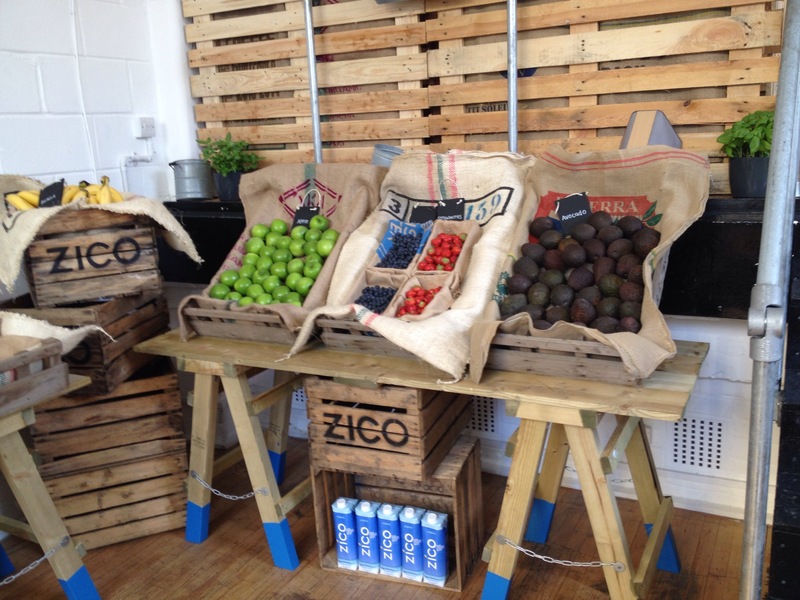 This week from Wednesday ZICO coconut water have been hosting a pop-up smoothie bar in Elys Yard on Brick Lane. 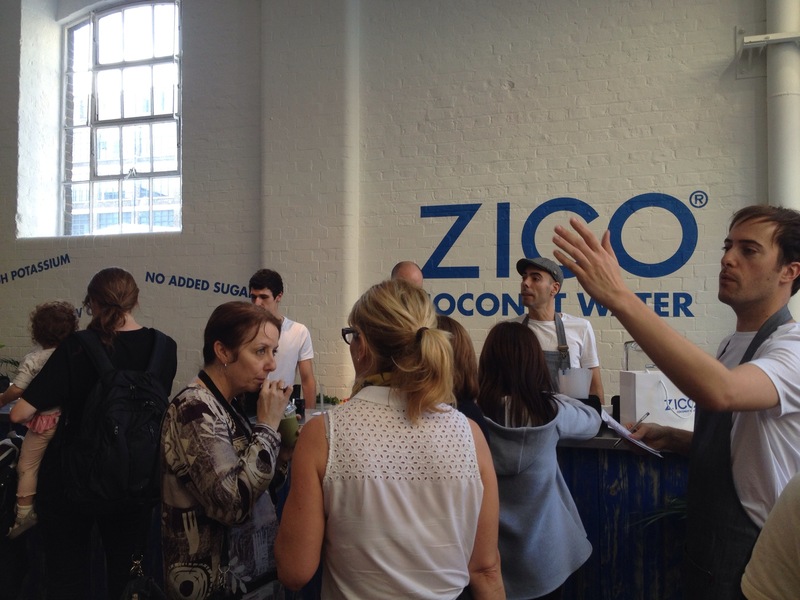 ZICO coconut water is 100% natural, low in calories, has no added sugar and is a rich source of potassium. 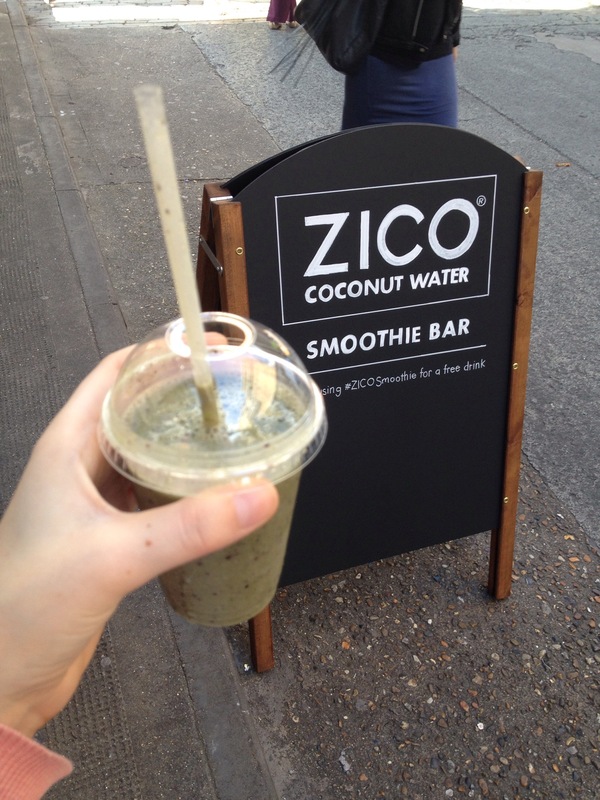 The smoothie bar is pretty easy to find, walking up brick lane towards The Old Truman Brewery it’s in the market looking yard on the left. 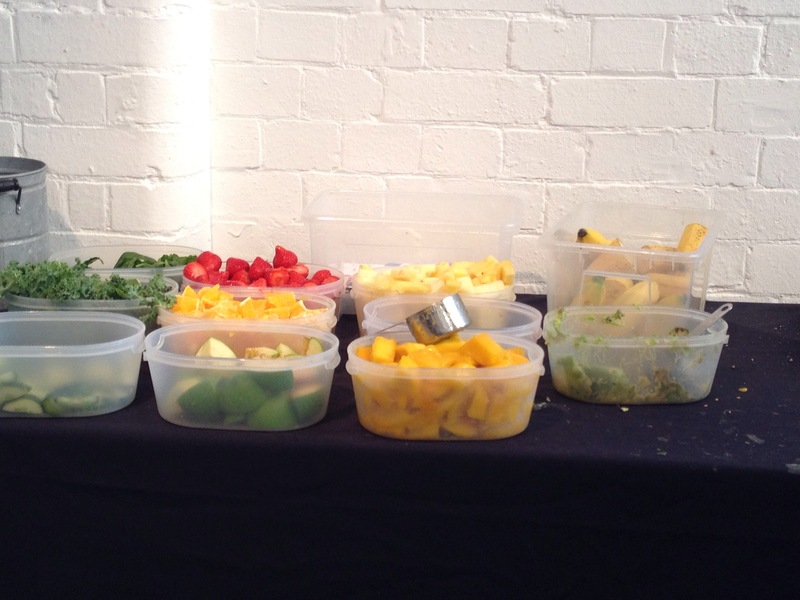 When I got to the pop-up I could see it was pretty popular with the number of people buzzing around, snapping photos, tweeting and grabbing their lunch time fruit and healthiness fix. 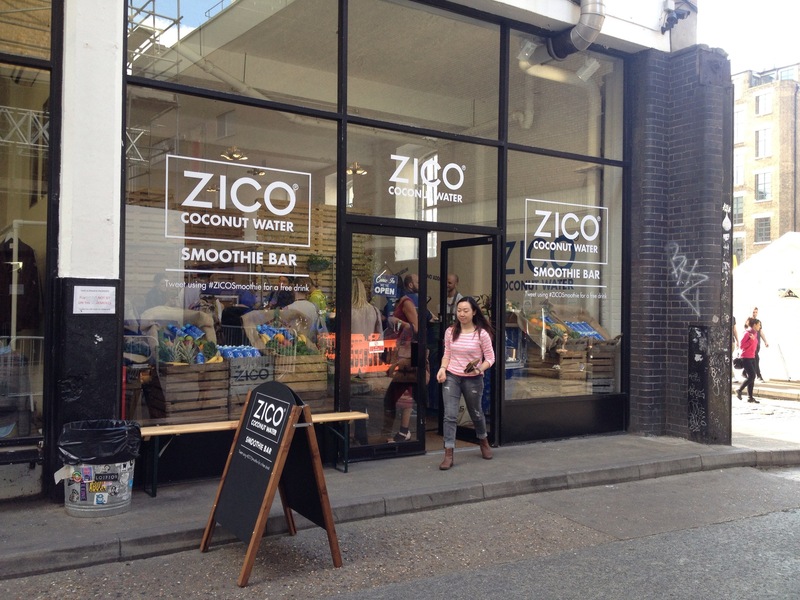 I went inside and was greeted by a lovely guy who explained what was happening, about ZICO and also how you got your free smoothie. So my tweet went up (you can like their Facebook page or post to Instagram instead!) 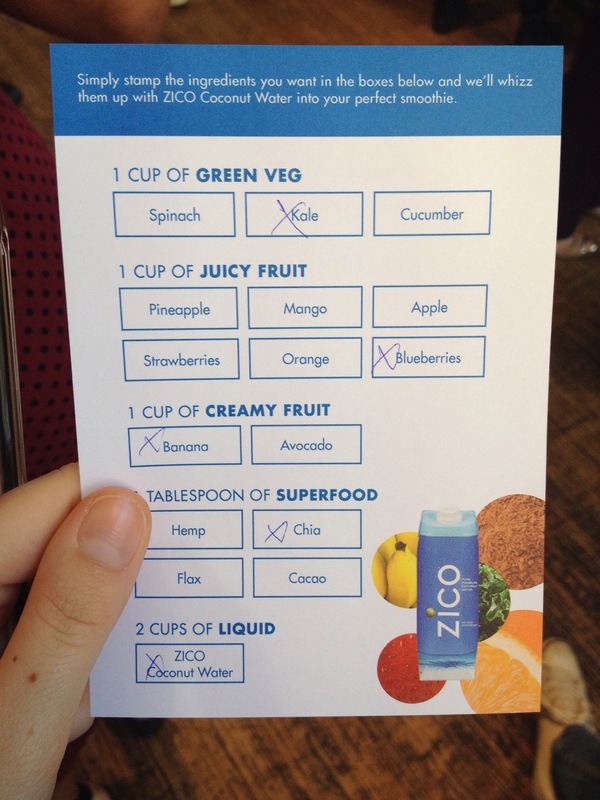 and I got my card to select the ingredients I wanted in my smoothie. 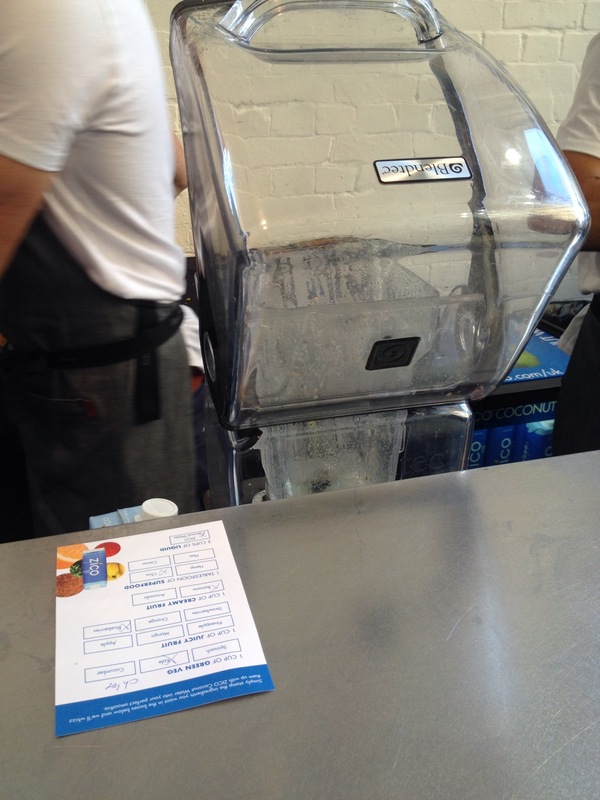 You can pick 4 from the card and it all gets blended with coconut water right in front of you – all the ingredients fresh from behind the bar which is great to see. 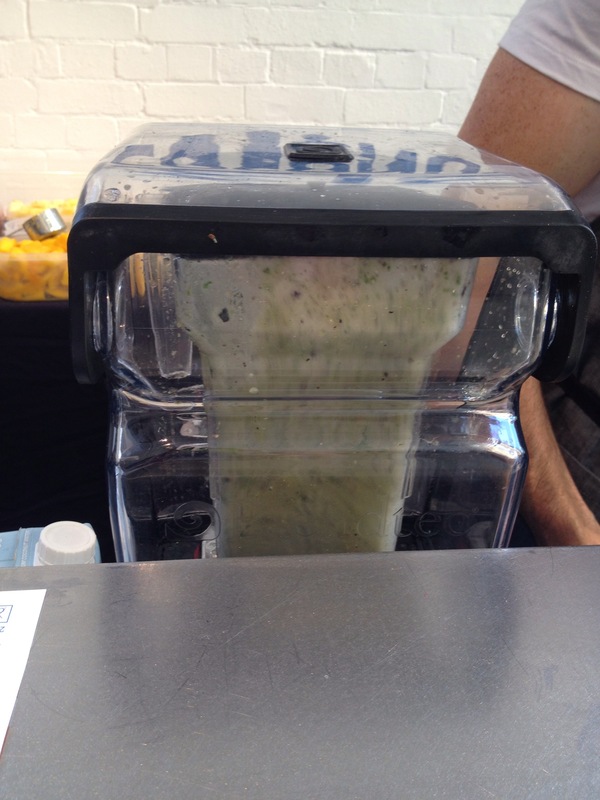 Nothing like a fresh, superfood smoothie! Random huh? What would you have picked? It tasted absolutely delicious and super healthy. 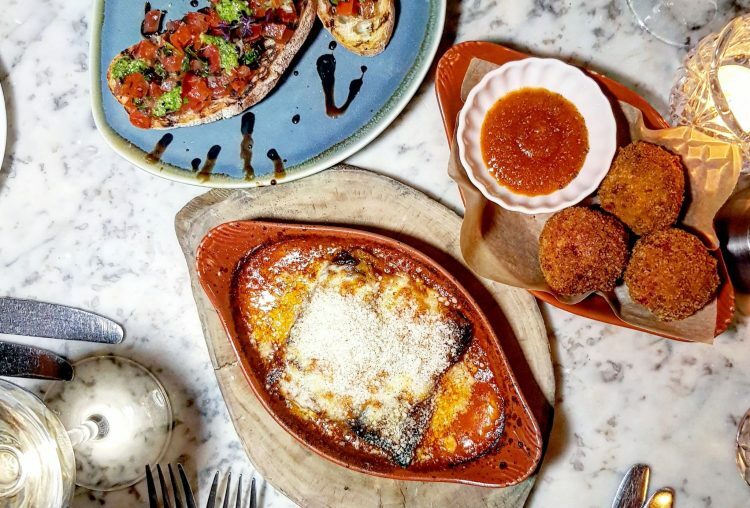 A great lunchtime treat for a Friday! The guy from the beginning returned to see how my smoothie turned out and I took a few more photos before heading back to work with my goody bag (I missed the opening event Wednesday and they still kept me one behind!). It may have been a relatively quick visit but it made an awesome impression. 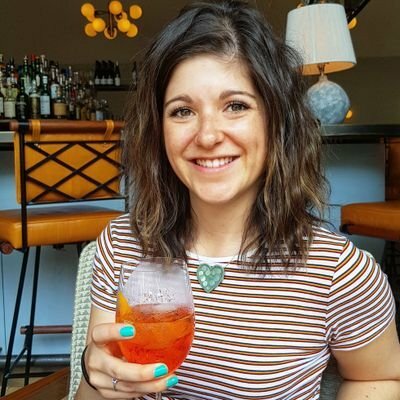 I think this bar is a fab idea, great location being in shoreditch and a lovely team running it. 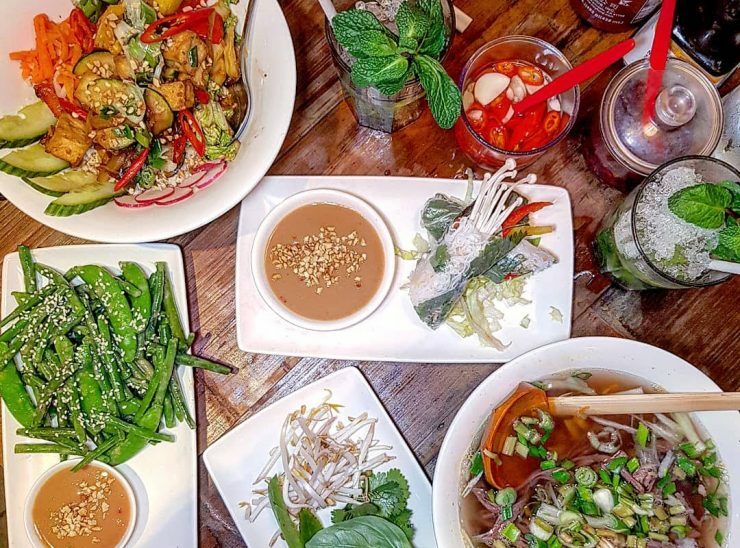 If you haven’t been along you definitely should, I highly recommend it – you only have to tweet or Instagram for your free weekend health kick. But they’re only there until Sunday so hurry! I left with a recipe leaflet so I’m sure you’ll get to hear about the smoothies I make at home too 🙂 some yummy sounding ideas for inspiration in this booklet! 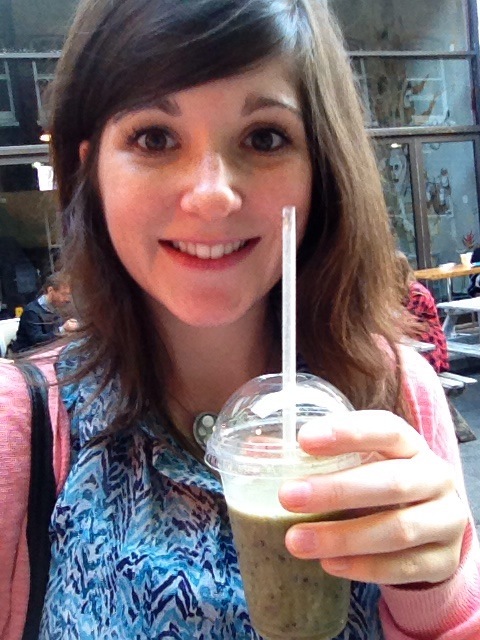 Would love to hear about your smoothie selections if you go along! Cute little bag I’ll definitely be using again. 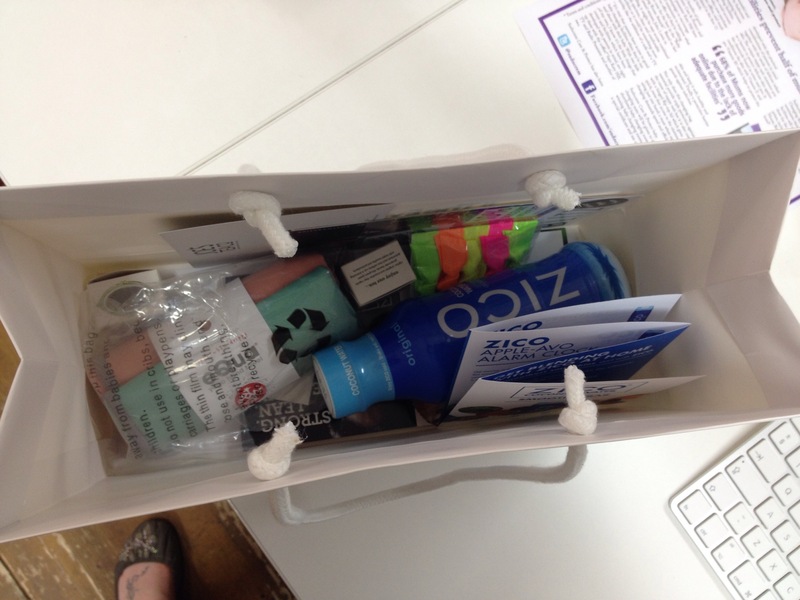 Love a little sturdy bag! 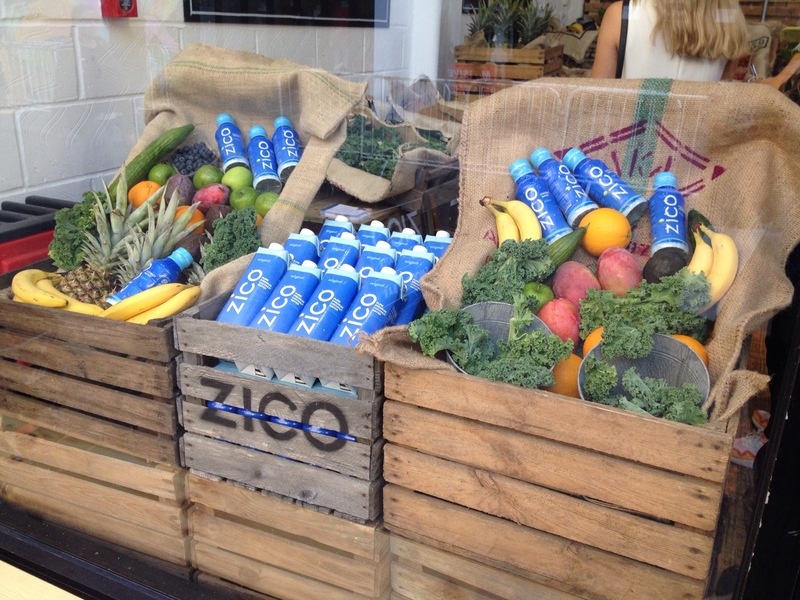 A bottle of ZICO coconut water – yumm! Pop Bands – soft, stretchy ‘no dent’ hair ties – awesome. My new gym neccessities! A mutli-colour headband – funky! eQua – Yoga Hand Towel with sweat activated grip, super absorbent. WOW! Love it already, going to try it out tomorrows gym session! 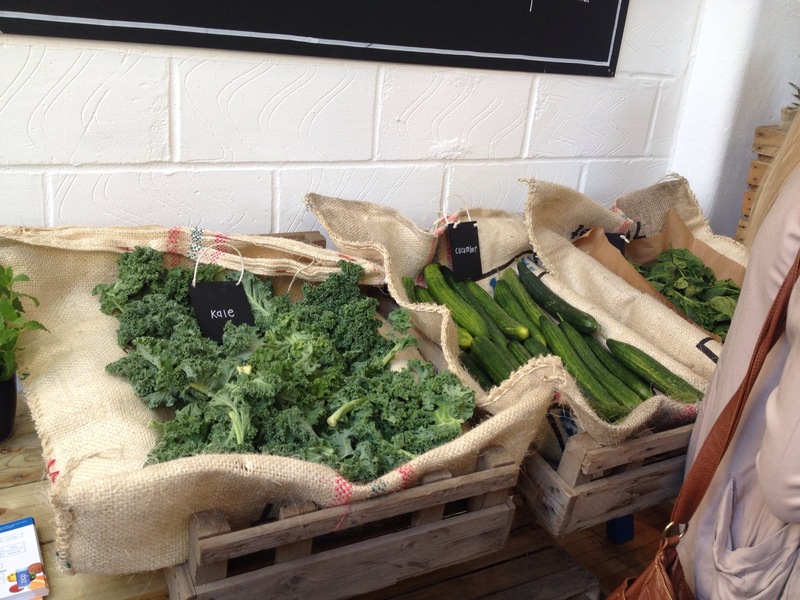 Joe’s Tea Co. Queen of Green Tea – healthy! Two tea bags. 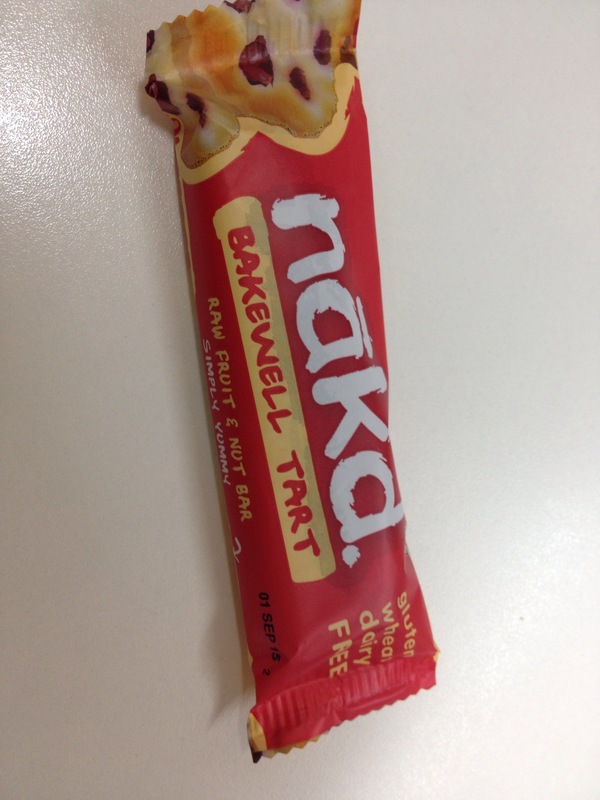 And….A nakd. bar – but this didn’t last long enough for my group photo (sorry guys!) it was too yummy! Couldn’t resist the temptation. 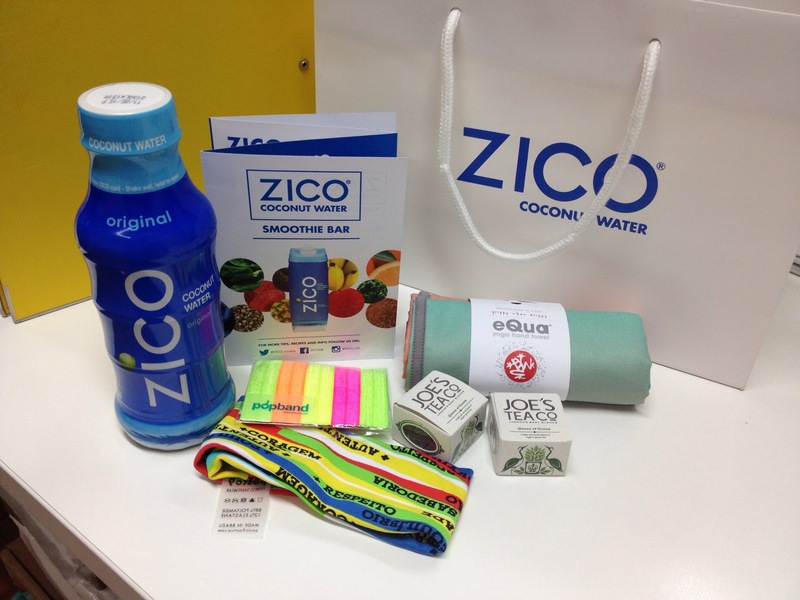 Some fab new things to try – yayyy! And definitely want to buy some more of those nakd. 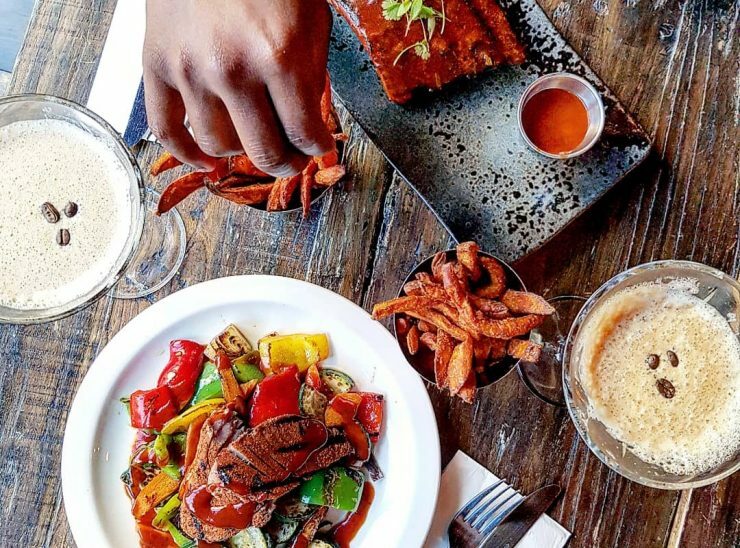 bars – delicious! They really were! Such a great idea..have to make the most of everything about living in london 😀 do you come down much?